Freediving New Zealand | Supporting grassroots and elite kiwi Freedivers the world over. Freediving is a form of underwater breath-hold diving that doesn’t involve the use of scuba or other external breathing devices. Many people freedive: recreational snorkelers, spearfishermen, underwater photographers and those who wish to pursue competition freediving. Freediving, also called breath-hold or apnea diving is, at its simplest, diving without the assistance of breathing apparatus. Competitive freediving comes basically in three flavours – Time, Distance and Depth with six primary disciplines within those categories for both pool and open water diving. See more about competitive freediving disciplines here. Freediving is an exhilarating but potentially dangerous sport. 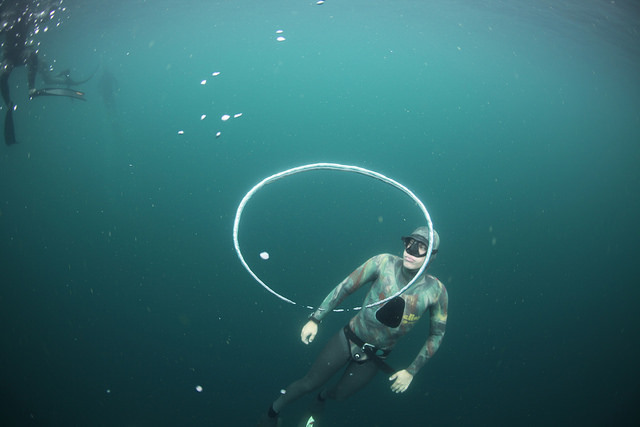 Pressures on the body in deep water freediving can reach more than ten times that at the surface and competitive divers push their bodies to their limits and sometimes beyond. Because of this, safety is critical in both training and competition. Freediving can be done by anyone. Freedivers train to understand and control their body’s reflexes; allowing world-class athletes to hold their breath for more than nine minutes in freediving competitions. This level of performance requires great mental discipline and training. The mammalian dive reflex is a key factor in freediving. This reflex, found in all mammals, and puts the body into an oxygen saving mode to maximise the time that can be spent underwater. It does this by lowering heart rate, reducing blood flow to extremities and suspending non-critical body function. This is triggered by the increase of carbon dioxide (CO2), a metabolic byproduct, which accumulates because it is not being exhaled as it normally would be. 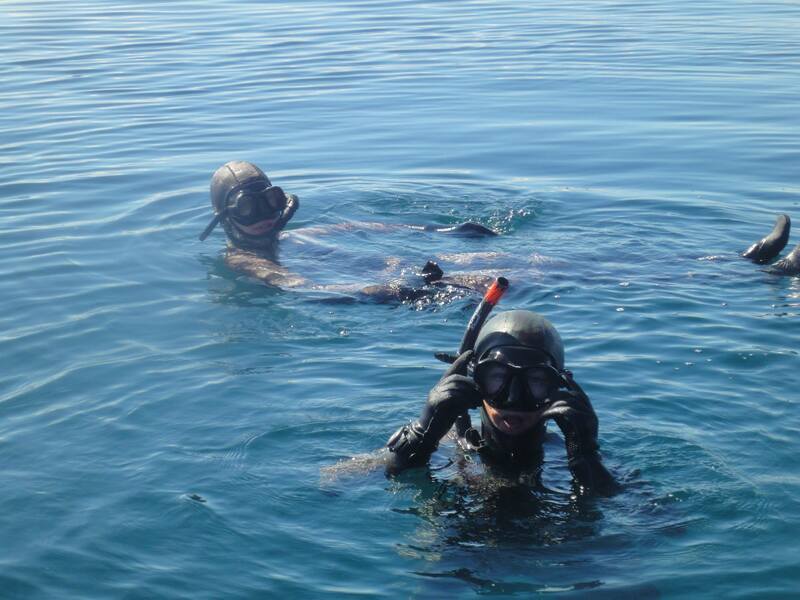 This also triggers the urge to breathe, which can become overwhelming for the diver. This is where the mental discipline comes in! The ability to handle the associated discomfort and still know when it is time to come up to breathe is perhaps the most important thing in competitive freediving. Definitely yes! Kiwi freedivers are world class and are prominent competitors on the world stage. There are currently at least 12 competitive New Zealand freedivers, six of which are ranked amongst the top 20 in the world. Three have held one or more world records and many medals have been awarded to New Zealanders at the World Championships. Breaking our national records is a very difficult achievement, with all being equal or very close to the world records for the men in particular.